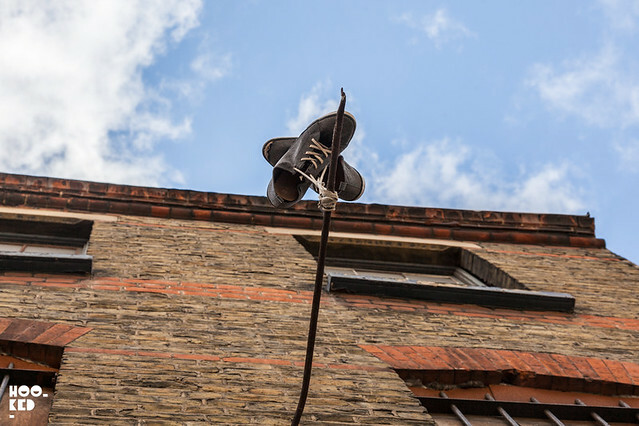 What goes up does not necessarily always come back down, such is the case with a series of new works made in London by Spanish artist Pejac. 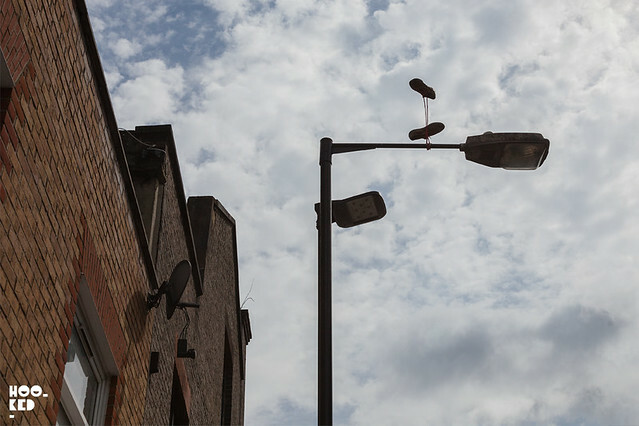 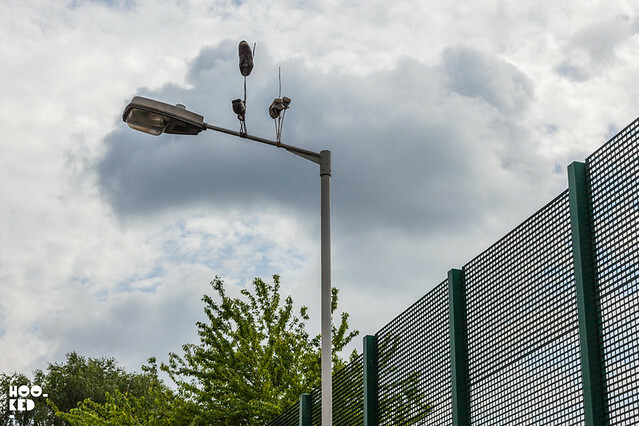 Titled Downside Up, these four new works are Pejac's first-ever series installed on the streets of London. 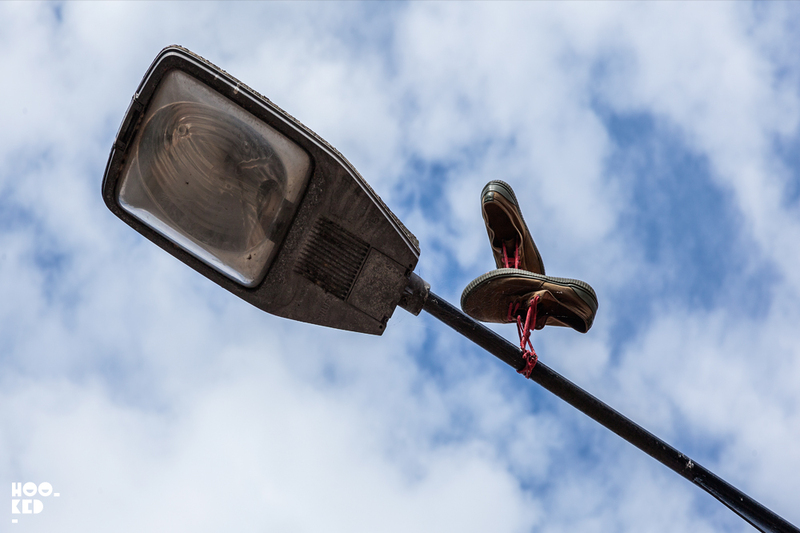 His gravity-defying installations feature a collection of old sneakers and shoes hanging from lampposts but in reverse with the shoes appearing to float skywards. 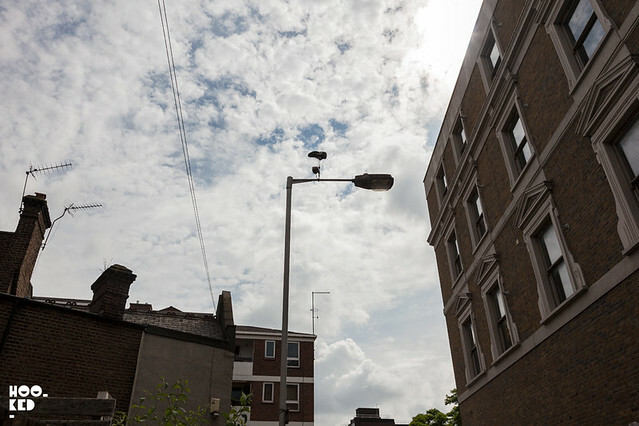 The new work from the artist coincides with his upcoming exhibition at the Londonewcastle Project Space, in London opening on the 22nd July 2016, titled ‘Law Of The Weakest’ more info to follow.